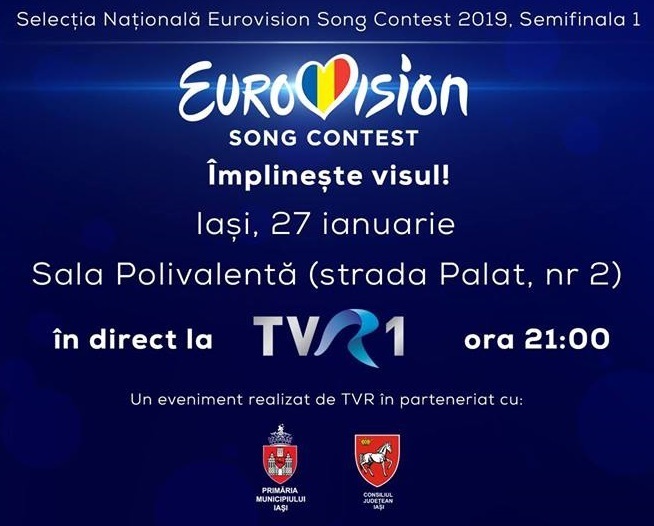 Tune in tonight at 21:00 ( romanian time ) on TVR 1 for the first semifinal of Selectia Nationala 2019. The show will be opened by The Sky Dance Company from Iasi, whith a special moment to mark the 20st participation of Romania in the contest. Special guest will be Irina Beregoi, a young moldavian artist, who established herself as a young new star, becoming a real phenomenon among the teens in Romania and Moldova. The director, Dan Manoliu, imagined a very “transparent” setting, in which the Green Room will be on the stage in the middle of the audience. 12 led pannels will broadcast a fairytale-ish athmosphere on stage, being directed by light designer Sergiu Ardelean. The show will be hosted by Aurelian Temisan and Ilinca Avram, who both hosted the Golden Stag Festival this year. 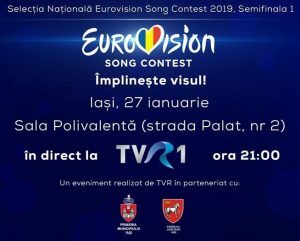 The jury will decide upon 5 songs to move forrward into the final, and the televoting will decide one.